Sony Corporation (NYSE: SNE) reported its third quarter financial results before market open on Friday. The Company reported weaker than expected profit, causing shares to tank by 9.1%. For the third quarter, Sony reported operating profit of JPY 376.99 Billion (USD 3.46 Billion), increasing by 7.5%, lower than analysts’ expectations of JPY 383.67 Billion. The weaker-than-expected results were primarily due to Sony’s gaming business slowing down. 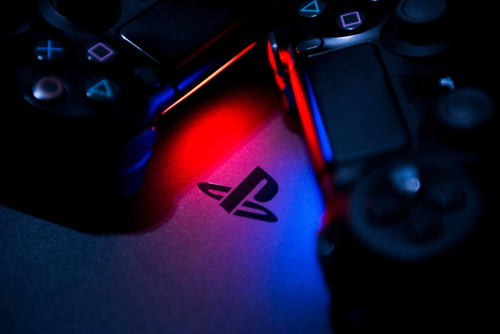 "The gaming business, which has been Sony's profit driver in the last couple of years, is set to peak out ahead of the launch of the next gaming console," said Ace Securities analyst Hideki Yasuda. "That's inevitable due to product cycle." However, Sony was still able to report record quarterly profit due to its USD 2.3 Billion acquisition of EMI earlier last year. However, the Company still reported that hardware sales were declining for the holiday season. Sony sold a total of 8.1 million units for the quarter, which fell in line with that Company’s expectations. Profit in the gaming business fell by 14% due to popular game titles like “Marvel’s Spider-Man” failed to offset shrinking PS4 console sales, according to Reuters. Despite lagging game sales, Sony still maintains its annual profit forecast of JPY 870 Billion (USD 7.94 Billion. Sony’s results came a day after rival Nintendo Co Ltd. reported a 36% quarterly profit jump, driven by upbeat sales of software and the portable Switch device. However, Nintendo did slash its expectations from 20 million to 17 million Switch sales for the year. Sony has still old over 91 million PS4s in total, putting it ahead of its competitors by over tens of millions. Among the three major video game console makers, Sony, Microsoft, and Nintendo, Sony maintains a strong lead. The three companies have flipped flopped throughout decades to produce the best gaming console. Previously, Microsoft’s Xbox 360 was the most popular console, then Sony released its PS3 and continued its dominance with the PS4.